With his ability to create fresh tracks in autopilot, Audien has turned his attention to performing live, a craft he takes just a seriously as his production. Audien recently performed at some of the hottest clubs in the US including L.A.'s Exchange & Lure, San Francisco's Ruby Skye & Harlot, New York's Pacha, XS in Las Vegas, and Miami's LIV. 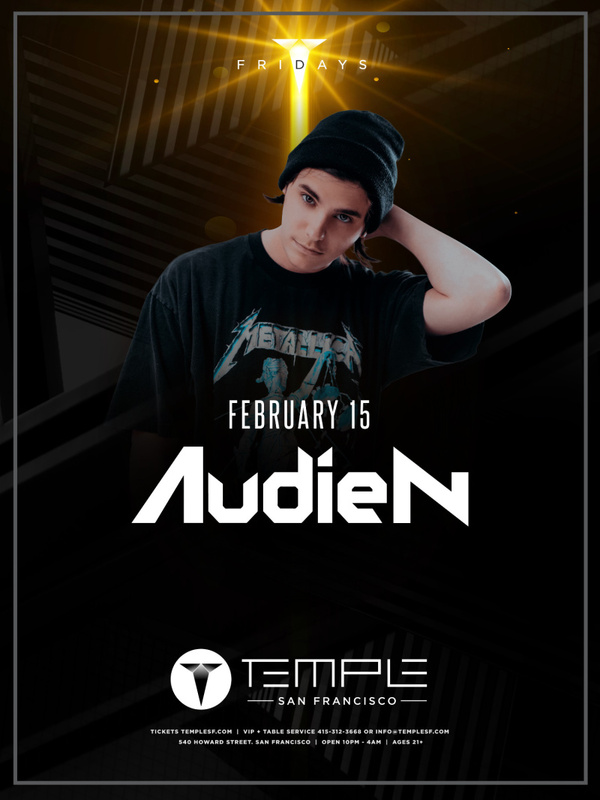 With more big shows forthcoming, Audien is ready to continue his rapid rise out of Mystic, and around the world.